PONDESK PICO PC 4 LAN fanless firewall router security gateway appliance equipped with the quad-core Intel® Atom™ E3845 processor up to 1.91GHz to take on a number of networking and communication tasks with Intel® AES-NI for secure and fast data encryption and decryption. Protected from meltdown and spectre vulnerabilities. Small network appliance with 4x Intel® I211-AT gigabit Ethernet for high bandwidth and fast communications. Also support wireless networks 802.11 b/g/n WiFi and WWAN 3G & 4G LTE (optional). Ready for IoT (Internet of Things) by simply connecting using WiFi, 3G/4G LTE via mini PCIe (can use only one network connection at a time). I/O options include two USB2.0 & USB 3.0 ports and VGA & HDMI dual display ports features Intel® HD Graphics. Compatible with Windows 7/8/10, Windows Server, Linux & Firewalls etc. Support up to 8GB SODIMM DDR3L 1.35V low voltage non-ECC single sided memory and dual storage drives including mSATA SSD and 2.5" SATA SSD/HDD. Highly reliable universal performance and 10W (idle) low power consumption helps user getting much better computing experience. 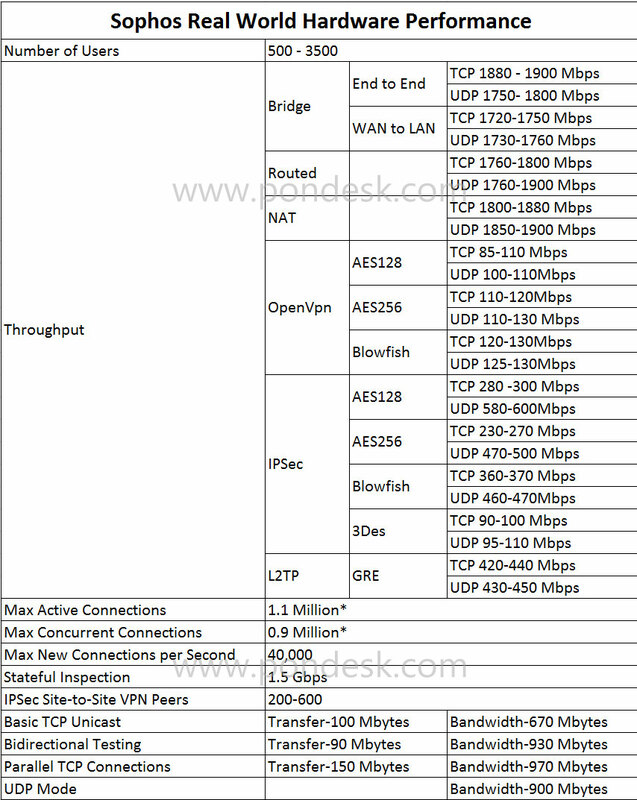 High performance & perfect for VPN, DNS Server, DHCP Server, network bandwidth controller, network servers, LAN or WAN router, firewall and UTM applications to deliver a high throughput, reliable operation and wide array of network applications, network servers, Linux, Unix, Windows, Proxmox Virtual Environment (VE), firewalls (either open-source or commercial) and gateways; pfSense, Sophos, Untangle, Ubuntu, ClearOS, FreeBSD, Monowall, Debian, Endian, Smothwall UTM, OpenBSD, Zeroshell, Zentyal, OpenWRT and VyOS etc. You can add multiple LAN's or multiple WLAN's to your network, each segmented for maximum security and configurability. It combines a robust industrial-grade performance and the advantages of network security management, can be widely used in virtual private networks, traffic control, network firewalls or other network applications. 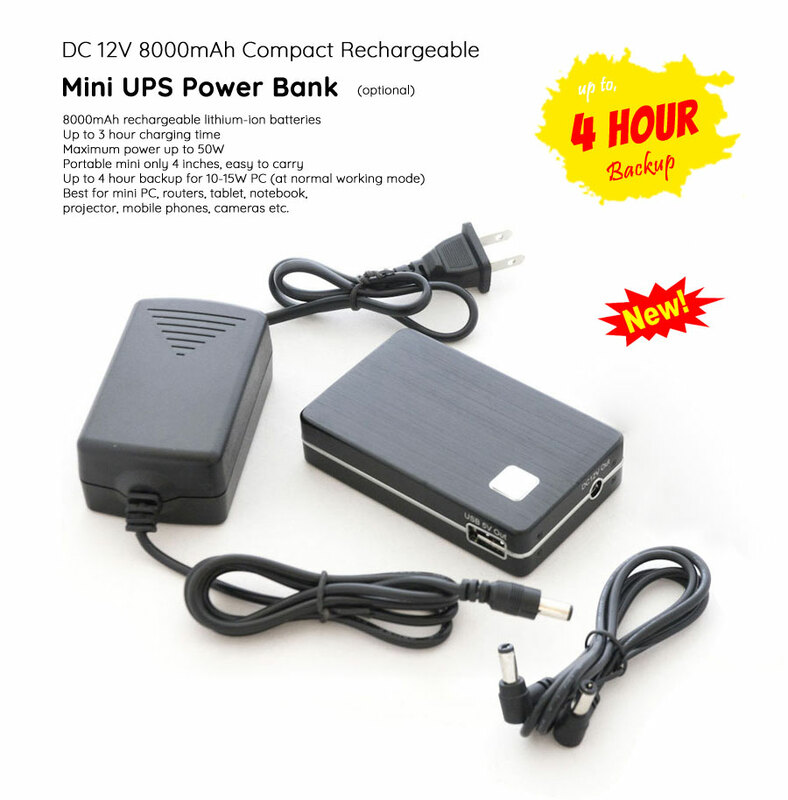 Completely fanless aluminium alloy compact size durable dustproof structure provides universal performance for small and medium sized business networks, offices, Internet service providers, MSP/MSSP etc. Protected from meltdown and spectre vulnerabilities. Perfect for Security Gateway, Server, VPN and Firewall such as pfSense, Untangle, Sophos, Smoothwall, ClearOS, m0n0wall etc. 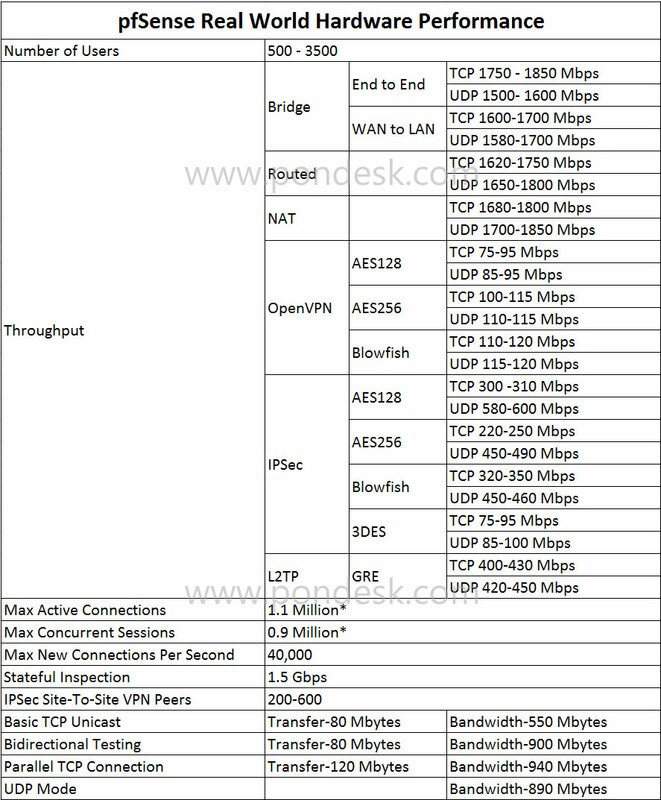 This section describes the real-world performance of the PONDESK 4 LAN 3G/4G Firewall Router with respect to different firewall showing details below. This will outline the technical specification & configurations required by a firewall administrator to operate and troubleshoot the hardware/software properly. 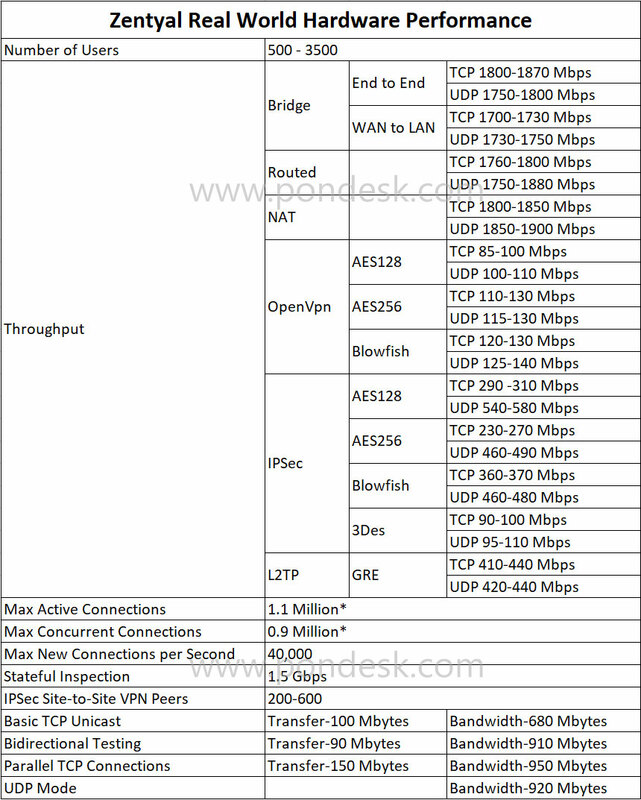 Below mentioned are few real-world stress tests performed with pfSense as firewall OS on standard network firewall router box hardware with the following configuration. Below mentioned are few real-world stress tests performed with Untangle as firewall OS on standard network firewall router box hardware with the following configuration. Below mentioned are few real-world stress tests performed with Sophos as firewall OS on standard network firewall router box hardware with the following configuration. Below mentioned are few real-world stress tests performed with Zentyal as firewall OS on standard network firewall router box hardware with the following configuration. 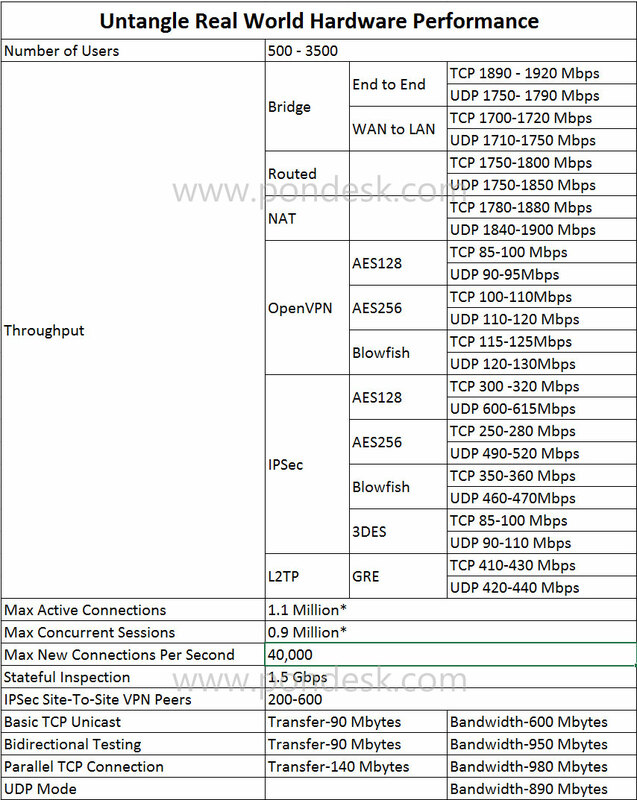 Below mentioned are few real-world stress tests performed with VyOS as OS on standard network firewall router box hardware with the following configuration. Note: Remember that this is real time status captured during ideal environment. These might be different according to traffic load, complexity of configuration, CPU/RAM/SSD specifications. Most important OS, if OS is more stable and have smaller footprint then performance should be high. Disclaimer: The subject matter of this section causes the disclosure of Winston Marriot Ltd confidential and/or proprietary information. We reserves the right to change the contents of this section at any time and without prior notice. No part of this section may be reproduced, stored, copied or transmitted in any form or any storage medium by any means, electronic, photocopying, recording or otherwise, without the prior written permission of Winston Marriot Ltd.
Q: Does this machine's NICs support VLAN tag (with pfsense)? Q: How to create VLAN interface in Debian? A: Click here for step by step guide. Q: USB AC WiFi is not working in Linux?